Kim K’s sister Khloe and her boyfriend Tristan Thompson have worked out a name for their unborn baby. 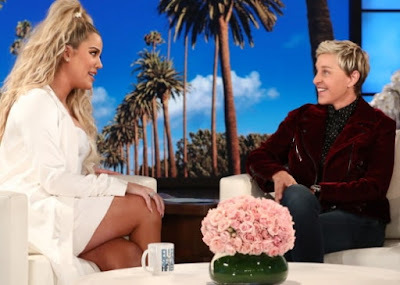 Khloe who is still denying that she’s yet to know the gender of her baby is reportedly expecting a boy according to multiple media outlets. In a chat with Ellen DeGeneres today, she said her baby will be named Tristan Jr (boy). In an indication that she is expecting a boy, the TV star said she doesn’t have a name for a girl yet. She is reportedly due to deliver her baby in March/April 2018. 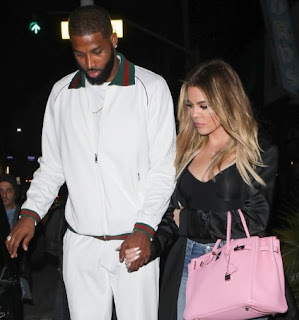 The 33-year-old expectant mother is dating Canadian professional basketballer, 26-year-old Tristan Thompson. AND IF she‘s a girl then What? Maybe you will call her Amanda Tristan.